We created so many wonderful memories with the Five in a Row curriculum. 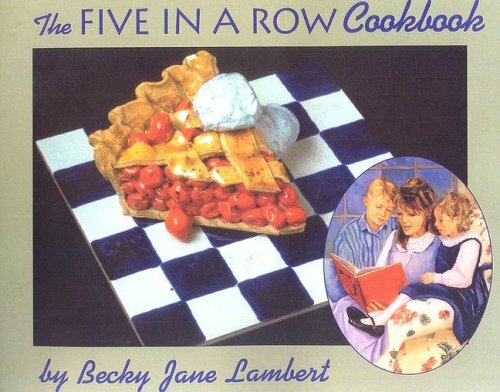 A particularly memorable book we rowed was "How to Bake An Apple Pie and See the World". 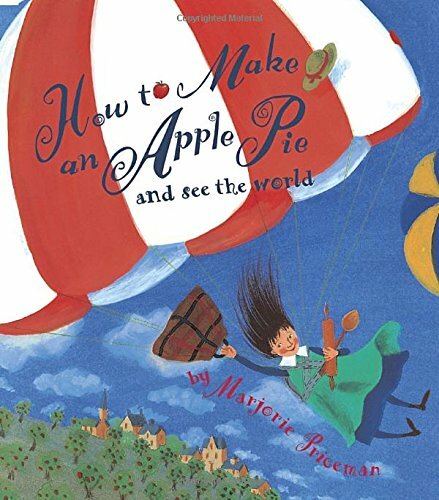 The premise is this: The child in the story goes to the market to get the ingredients to make an apple pie. But, the market is closed. She embarks on a journey around the world to gather her ingredients. Brilliant! Little did I know we would have a week of magical learning that would create beautiful memories for my children and me. I pray you can create those memories, too! *Enjoy this Homegrown Learners throwback post -- I want to show you the spectacular memories we created through homeschooling! And it's just such fun to see these pics of my kids when they were little! I love the plan for a week of learning that is the premise for each Five in a Row book. It is just enough to keep children engaged, but not too much to bore them. 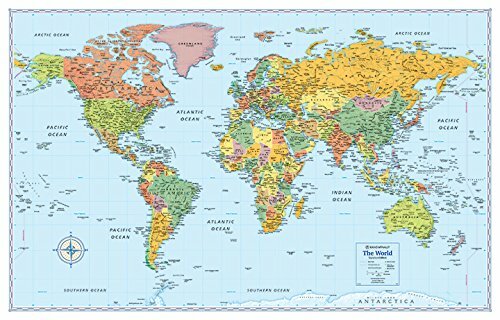 We began the book by reading it once through on Monday - we sat by our world map (to this day we still have this same map in our school room - it has lasted a long time and issimple and effective) and I pointed to all of the places visited in the book: Italy, France, England, Sri Lanka, Jamaica and Vermont . Then, my children took turns pointing when I read the book again. Tuesday we read the book again made Apple Pie Playdoh. The recipe was so easy and smelled so good. (My kids STILL talk about this Playdoh and they are now teens!) Each day during the week we brought it out and my youngest would play with it while I completed our read-alouds. I'm thinking a different batch of homemade playdoh each week may be in our future. We began a lapbook which I found at Five In a Row Circle and Homeschool Share. I must say the favorite activity was the geography matching game. My son played this numerous times, and it has reinforced many of the concepts in the book. We also enjoyed one of the minibooks, which was a saltwater evaporation experiment. My son was amazed that after three days of letting our saltwater sit out on the counter all the water evaporated and we were left with salt. One of the lapbook elements was coloring the flags of places visited in the story. Grant has a real eye for detail and loves coloring, so this was another one of his favorite activities this week. All in all, the lapbook was a success, so if you row this book, just follow the links I gave above and have your child complete the lapbook. *Note: The original lapbook has been removed from Homeschool Share, but using the links above you can put together quite a nice lapbook of your own. There are some examples at Five in a Row Circle, too - that might inspire you. We read the book again and did more lapbooking and playing with Play Doh.... what I love about rowing a book is that kids are EXCITED to visit the book again and again. It makes school FUN! To culminate our book adventure, we visited a local produce stand and picked out four different types of apples. We baked an apple pie . Here's a photo my hubby took of the three of us before we ate the pie - I realized I forgot to take pictures while we were baking. Oh well! We had a long afternoon at the park and produce stand, then baking a pie and cooking dinner... we all look a little wiped out! We read the book to daddy during dinner and then enjoyed the pie for dessert. And oh my goodness --- look how small my kiddos were -- what a memory! Every time we make an apple pie we think about this sweet time in our homeschool. My kids ask to go pick apples each fall so that we can recreate this time. THIS is why we homeschool. THIS is what it's all about. As you can see, Five in a Row is a favorite curriculum in our home. 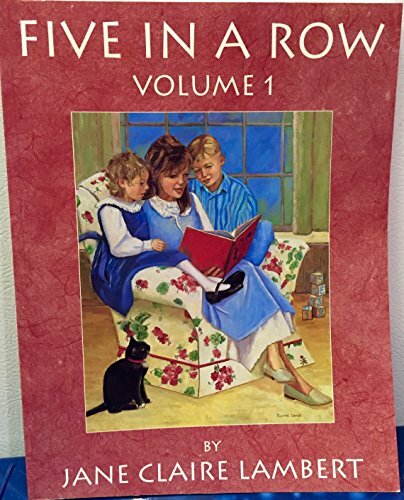 Check out other titles we rowed and start making great memories with your kids, too! Have you created a beautiful memory with a book? Do you use Five in a Row?